T-MINUS 17 DAYS TILL HALLOWEEEEEEEN! Today I’m sharing 6 Easy + Affordable DIY Halloween Decorations! These are so quick and fun to make—you’ll have your home looking spooky in no time! Watch along as I show you how to make Mason Jar Monsters, a Skeleton Cut-Out Tee, Ribbon Pumpkins, a Ghost Garland, Trash Bag Spider Webs, and Spooky Window Silhouettes. Don’t forget to SUBSCRIBE to stay updated on my weekly Wednesday videos. Love you guys! This is the second video in my Halloween Video Series this October! Check out last week's Halloween Makeup video HERE! 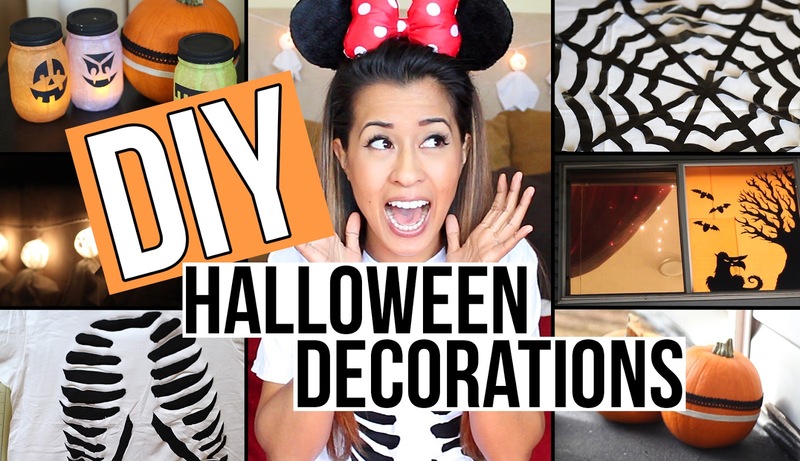 Let me know which DIY Decoration was your favorite in the comments below!